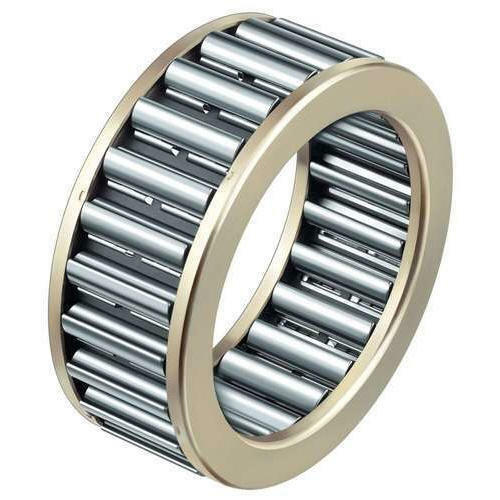 Needle roller bearings comprise of special form of cylindrical roller bearings in which the rollers are of a very small diameter and comparatively long therefore they have the advantage of a very small difference bet These bearings are detachable and suitable for carrying only radial loads. Various designs of needle roller bearings are available and depending upon the designs of the bearing assembly. Needle roller bearings may be used either without an inner race or outer race or even without any races merely using a set of needle rollers. In all these cases the shaft or the housing should be strictly of the same qualities as of the bearings races( Hardness, Accuracy and finish); Needle roller bearings are found applicable where space is restricted and mostly where the units are oscillating.